The Silken Collection is sleek, serene and extremely elegant. The perfect companion for the Silken pendant, the Silken drop earrings will complete a stunning look...striking and stylish. They are available with a post and scroll fitting, alternate fittings are available on request. 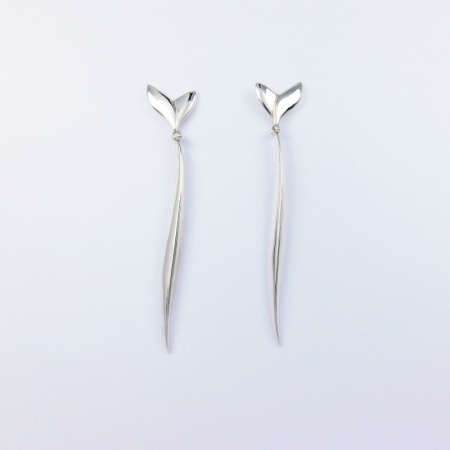 Solid silver, articulated between the leaf and the frond, the earrings are approximately 65mm long.